In classical electromagnetism, the electric potential (a scalar quantity denoted by &phi;, &phi;E or V and also called the electric field potential or the electrostatic potential) at a point is equal to the electric potential energy (measured in joules) of a charged particle at that location divided by the charge (measured in coulombs) of the particle. The electric potential is independent of the test particle&#039;s charge - it is determined by the electric field alone. 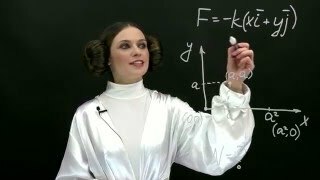 The electric potential can be calculated at a point in either a static (time-invariant) electric field or in a dynamic (varying with time) electric field at a specific time, and has the units of joules per coulomb, or volts.